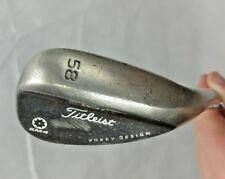 Titleist SM4 Vokey Design BV Spin Milled 58 Degree Lob Wedge 58-06 Oil Can! This page was last updated: 20-Apr 03:44. Number of bids and bid amounts may be slightly out of date. See each listing for international shipping options and costs.